Softback 66 pages. 42 colour, five b & w illustrations. This beautifully illustrated book evokes the spirit of the St Andrews, Bristol. Manson digs below the Victorian landscape to reveal a history dating back hundreds of years. 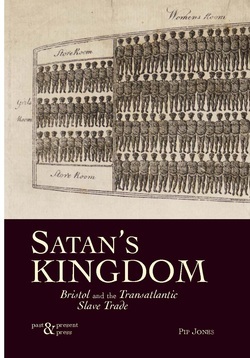 Written by Bristol author Pip Jones, Satan’s Kingdom gives an important new perspective on Bristol’s role in the trading of slaves. Pip Jones writes about the medieval trade in bond slaves and prisoners of war. She describes how Eighteenth Century Bristolians embraced the ‘Transatlantic Trade’ and then, once it was in decline, campaigned to outlaw it. Here you will meet the eager participants: knights; merchants; seamen; plantation owners; churchmen and politicians. You will also meet the slaves and abolitionists; men and women who strove against the apparently insurmountable acceptance of slavery. 'Riot!' illuminates a darker moment in Bristol's history. Set against a backdrop of massive social and political change 'Riot!' vividly recreates the dreadful sequence of events that led to the Bristol Bridge Massacre. Compellingly written and meticulously researched 'Riot!' 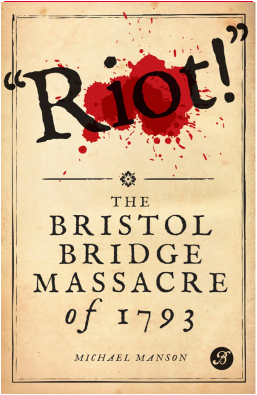 chronicles the events in Bristol during the pivotal year of 1793. 'A well written and useful addition to the local history bookshelf' Bristol Civic Society Newsletter. 'I have just finished reading 'Riot!' and enjoyed it immensely. It is excellent. It is graphically written and very clear. The background is well painted in, and the drama and the folly of the Corporation are beautifully drawn'. Sir Ian Gilmour, author of 'Riots, Risings and Revolution'. Written in a lively and accessible style 'Riot!' is essential reading for anyone interested in local history or politics. 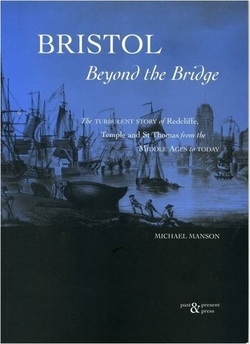 Bristol Beyond the Bridge tells the fascinating story of the three original southern parishes of Bristol - Redcliffe, Temple and St. Thomas - from Norman times up to the area's present day revitalisation. Apart from the famous and magnificent church of St. Mary Redcliffe, little else remains to indicate that an important community has thrived here for 800 years. Michael Manson reveals a rich panorama of the parishes' past. He describes the inhabitants; their trade, industry and pastimes, and offers detailed insights into the place in which they lived, including its unique features such as the Redcliffe Caves and the New Gaol. 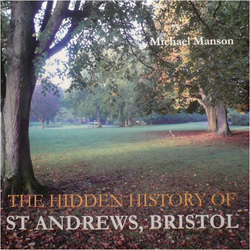 He vividly recaptures the area's own distinct identity and draws a picture of its often turbulent history.In Bristol Beyond the Bridge, Michael Manson gives a new perspective to the history of one of Britain's greatest cities. 'Just the right amount of story-line that both satisfies and whets the appetite for more'. Canyges Society Annual Gazette. Originally published in 1988, Bristol Beyond the Bridge has been updated and revised to take account of the major city centre developments of the last decade.